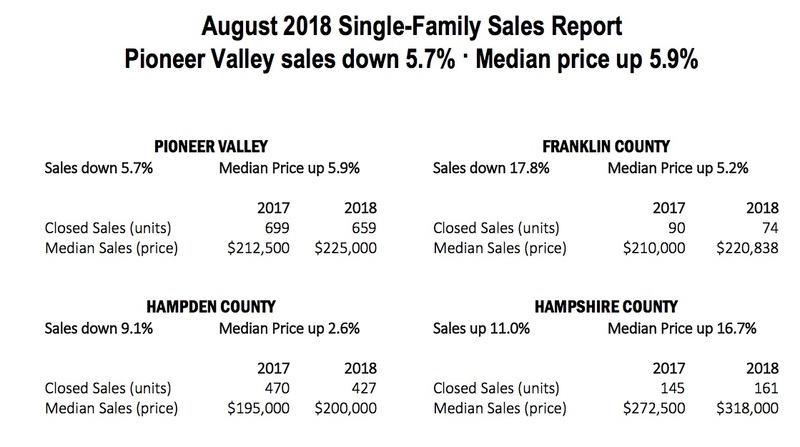 Pioneer Valley single-family home sales in August, 2017 had 699 closed transactions and 659 in August, 2018, down 5.7%. 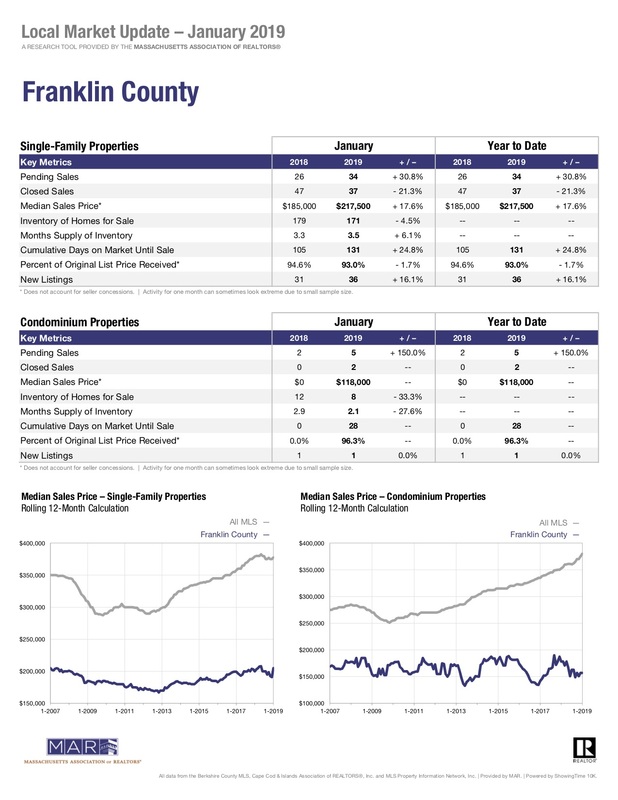 Franklin County had 90 closed transactions in August, 2017 and 74 in August, 2018, down 17.8%. 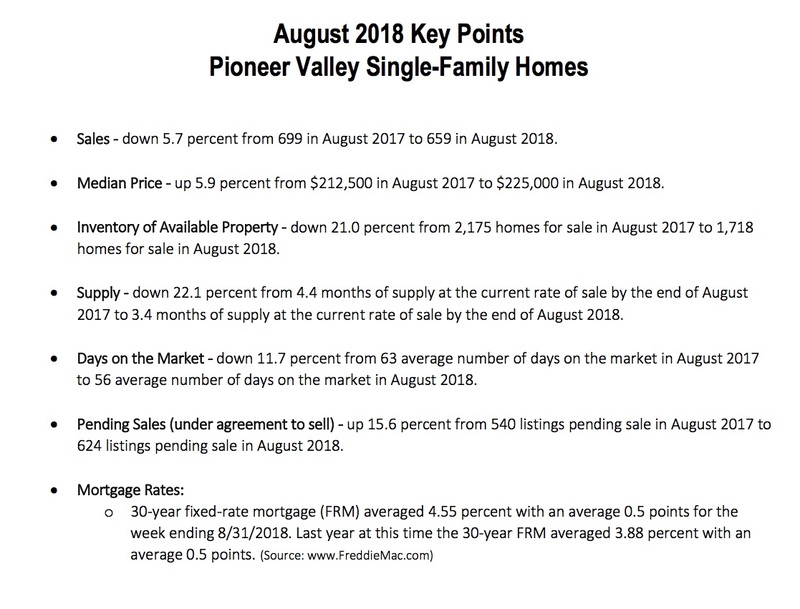 Pioneer Valley average days of market was down to 56 days in August 2018 vs. 63 days in August 2017. 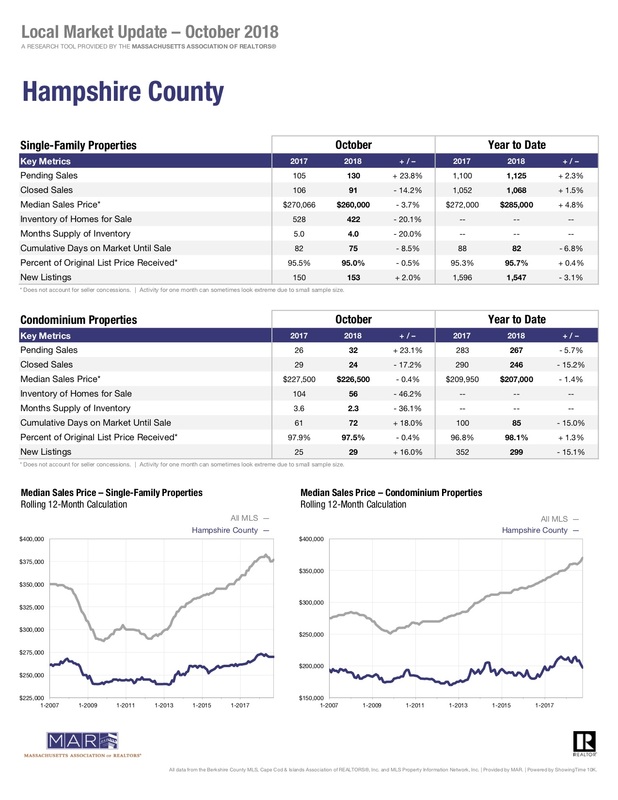 Pending sales are up and inventory of homes for sale remains down. 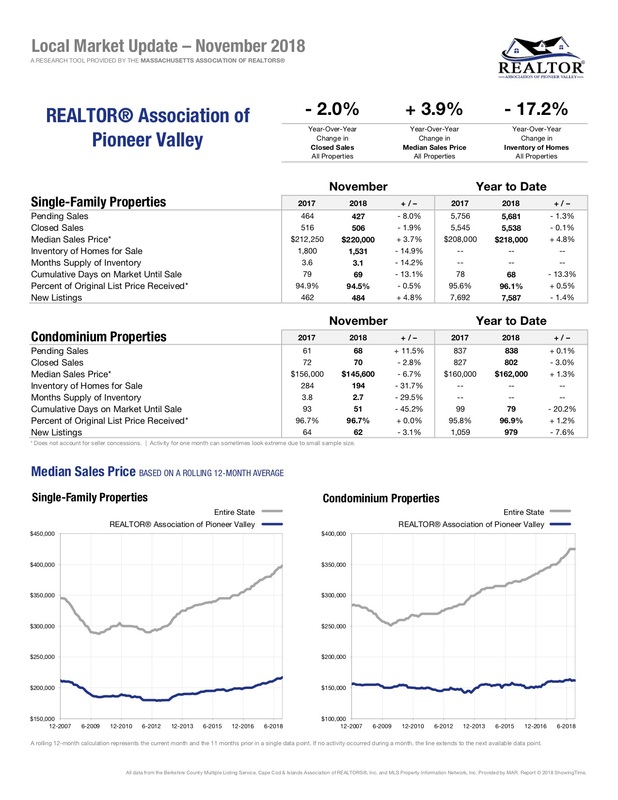 For more information regarding single family sales in August review the following provided by the Realtor Association of Pioneer Valley.